The American College of Greece | Xanthi Mitsakou Won Two Medals with the Greek National Swim Team in Israel! Home » Current Students » Athletics » DCAC Sports Academy » DCAC News » Xanthi Mitsakou Won Two Medals with the Greek National Swim Team in Israel! 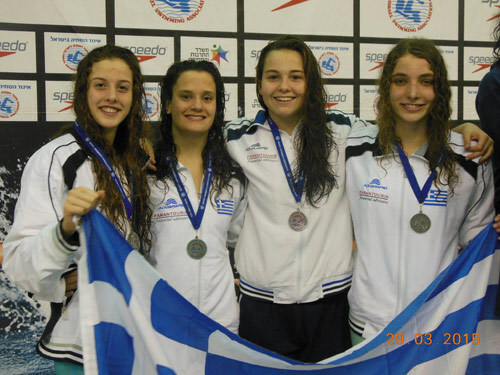 Xanthi Mitsakou Won Two Medals with the Greek National Swim Team in Israel! Congratulations to our swimmer and PIERCE student Xanthi Mitsakou, for participating with the Greek National Girls Team in the International Swim Meet held March 28-29 in Netanya, Israel. 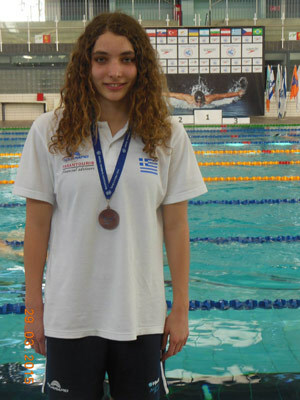 Xanthi won the bronze medal in Girls 200m Butterfly and the silver medal in girls 4x100m Free style. Our swim head coach George Vallas also traveled to Israel with the Greek team accompanying Xanthi, and he was excited to see the Greek national team winning the Cup for the first time!